Sophia Kingdom (1775 – 1854) was the youngest of sixteen children of a Plymouth naval contractor. Her father dead, she was entrusted to the tender care of a brother who thought revolutionary France would be a proper place for his young sister to go to school. Abandoned and penniless in the maelstrom that was the Reign of Terror, she managed to find work as a governess. Surrounded by suspicion and danger, she also found love. Marc Isambard Brunel, a naval cadet from Normandy, shared her love of mathematics and drawing, as well as an active dislike for Robespierre, le dictateur sanguinaire. He had been keeping a low profile when he fell in love with Sophia, but government agents still caught up to him. He fled France, forced to leave his beloved behind. Soon after, she was imprisoned for allegedly spying for England. Daily expecting execution, Miss Kingdom managed to flee to England where she awaited the return of her lover. Six years later she was still waiting for him when he landed at Falmouth. Within the year they were married and living in London. 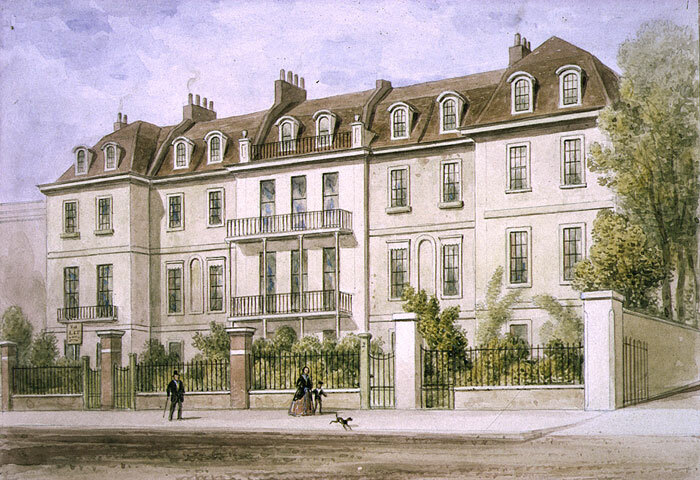 For a time they had an apartment in Lindsey House, a Grade II mansion, thought to be the oldest in Chelsea. It was built by the Earl of Lindsey on the site of Thomas More’s garden. They also lived for a time in King’s Bench Prison, being deeply in debt from various failed engineering projects Brunel was involved in. It seems only appropriate their big break came about when Brunell engineered the Thames Tunnel between London’s Rotherhithe and Wapping in 1825. 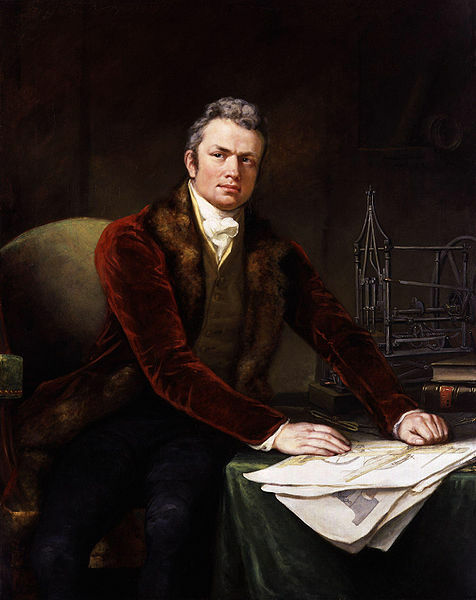 Their son, Isambard Kingdom Brunel, is remembered among England’s most celebrated and revered English engineers. He was played by Kenneth Branaugh during the 2012 Summer Olympics opening ceremony. This entry was posted in Regency, Uncategorized and tagged Kenneth Branaugh, Lindsey House, Robespierre, Sir Marc Isambard Brunel, Sophia Kingdom, Thames Tunnel by Angelyn. Bookmark the permalink. Here is a Regency Personality that I don’t have to write up myself! Way to go Angelyn! So very interesting. Where was she imprisoned, and how did she manage to flee? Few details on this episode are known. Sophia was staying in Normandy with the same family that sheltered Brunel. Normandy was firmly royalist — it spawned the famous Angel of Assasination who stabbed another Reign of Terror luminaire. Presumably she was kept in a local jail and either escaped or was allowed to leave through local connections. It would have been a relatively easy manner to make her way to Le Havre or another port to get across the Channel. Thanks for stopping by, Gerri! Gerri that was my questions as well. Her brother was an idiot. Isn’t it amazing how long people waited for one another back then. Great post Angelyn. I’m re-bloging. Yes Ella, that was my thought about her brother as well. A lot like mine actually, but that’s another story. Many thanks, Ella. Sixteen kids and the brother was probably left in charge with the lot. Sophia was the last, and most likely considered the least. I’ve got the same question as Gerri, how was she able to flee. If the royalists were to make a comeback, Normandy would be fertile ground to start a rebellion. Consequently folks like Brunel and a young Englishwoman with no connections would have stuck out. As the revolutionary government struggled to gain legitimacy, it is also likely Sophia might have been released as a goodwill gesture. I thought so–thanks for commenting!